Providing you the best range of vermiculite coated fabrics with effective & timely delivery. 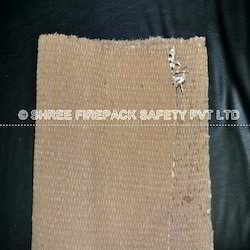 shree firepack safety pvt ltd offer Vermiculite coated Fabric. Vermiculite coated fabris can be Used for Welding Protection, Furnace Curtains, Pipe Wrapping/Lagging, Expansion Joints, Heat Shield/Containment, Machinery Protection, Removable Flange/Valve Covers, Stress Relief, Exhaust Manifold Wrap and more. Looking for Coated Fabric ?